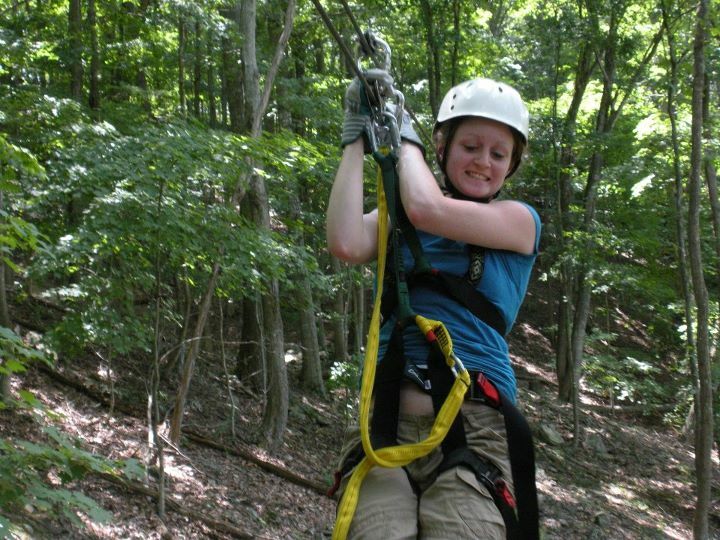 Fun on the North Fork Valley Canopy Tour! I’m still catching up on a few adventures that I’ve had lately but haven’t had time to document. What makes this even more difficult is that our camera recently died. So, until we are able to afford a new one, the photos appearing in this blog are either taken by someone else, or taken with someone else’s camera. 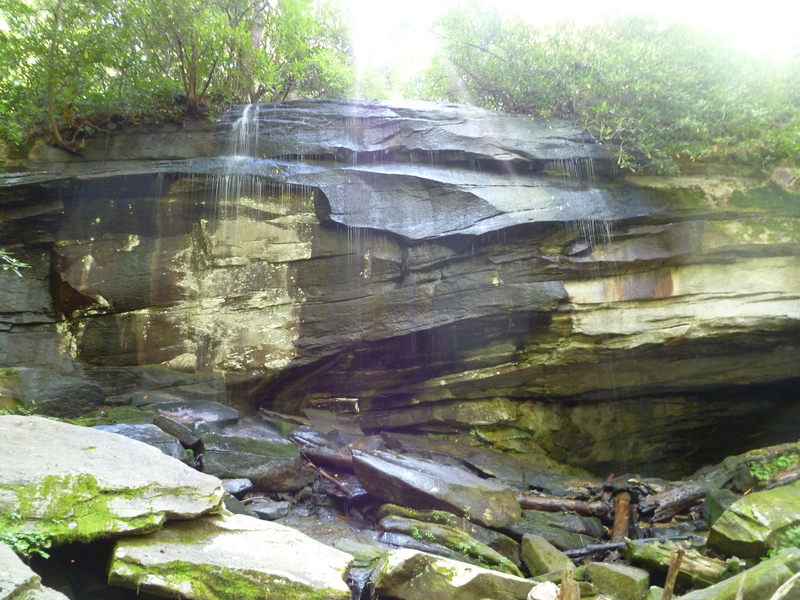 Around August 7 or 8, a group of us went out for a fun day in West Virginia. 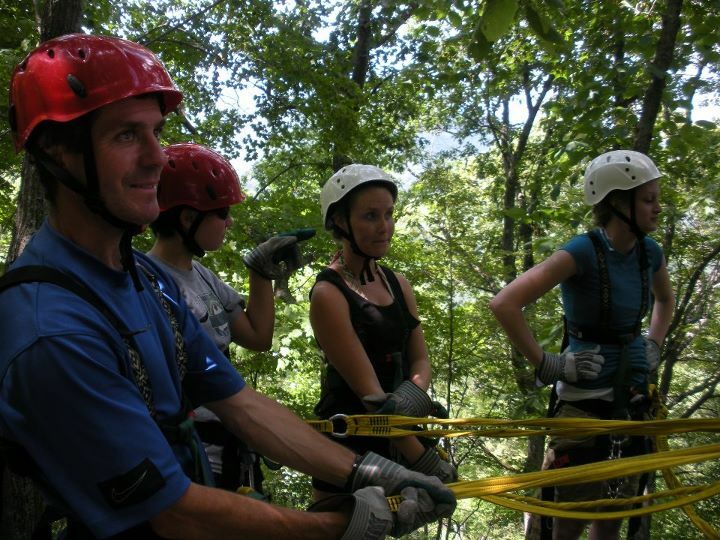 My dad, Melissa and younger sister Bonnie, younger sister Mary, younger brother Aaron and girlfriend Paige decided we were going to explore a cave and then experience the brand new, just opened North Fork Valley Canopy Tour at the Nelson Rock Outdoor Center. We first drove to the Sinks of Gandy. Unlike other caves we’ve been in, this one didn’t require any wriggling through muddy tunnels. 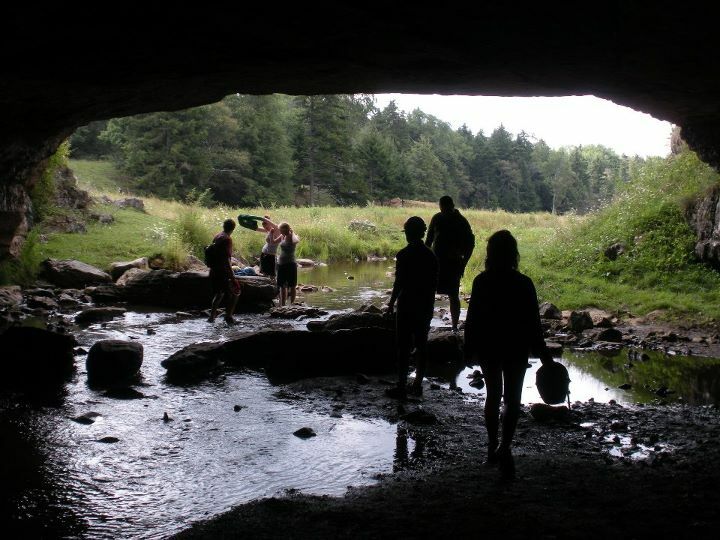 Instead, it required that you wade through an underground stream that runs through a fairly large cavern. 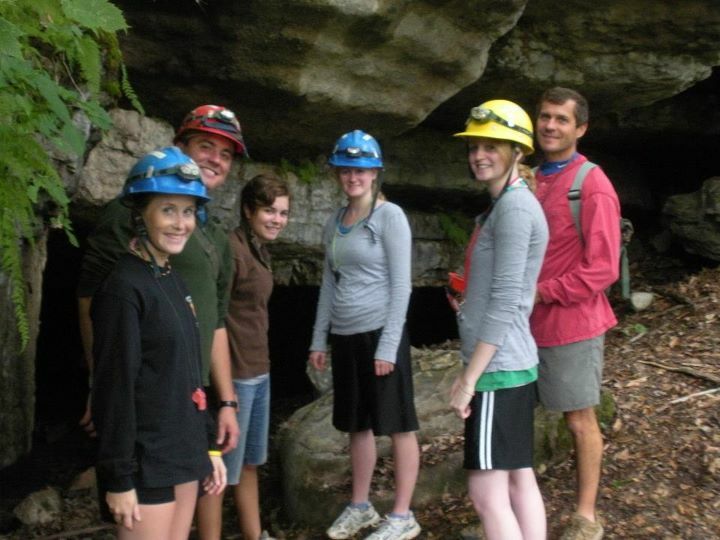 Nothing makes caving more fun! (I found it in the cave. It was already empty.) Photo by Aaron Zook. This is actually a pretty awesome picture. 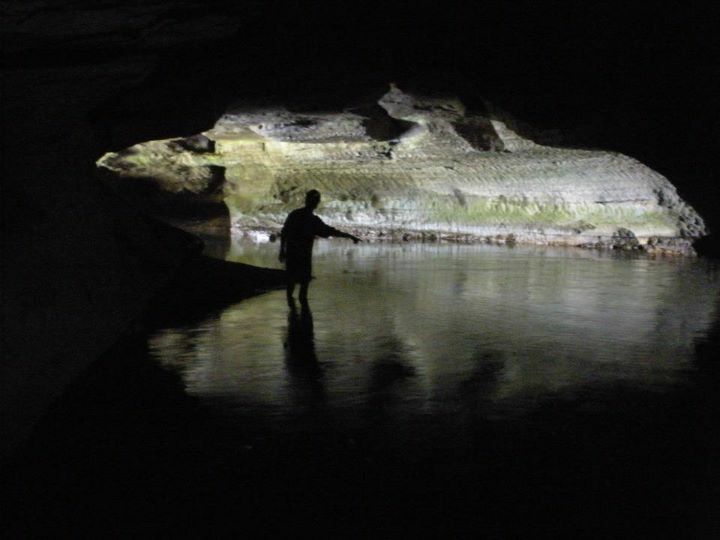 That's Dad in the stream, getting ready to exit the cave. Photo by Aaron Zook. 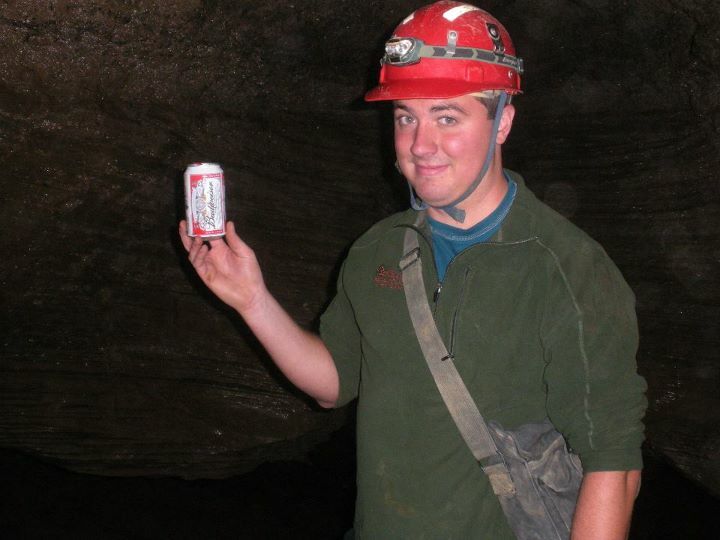 Cleaning up after this cave was easier than any other cave I've ever been in. Photo by Aaron Zook. 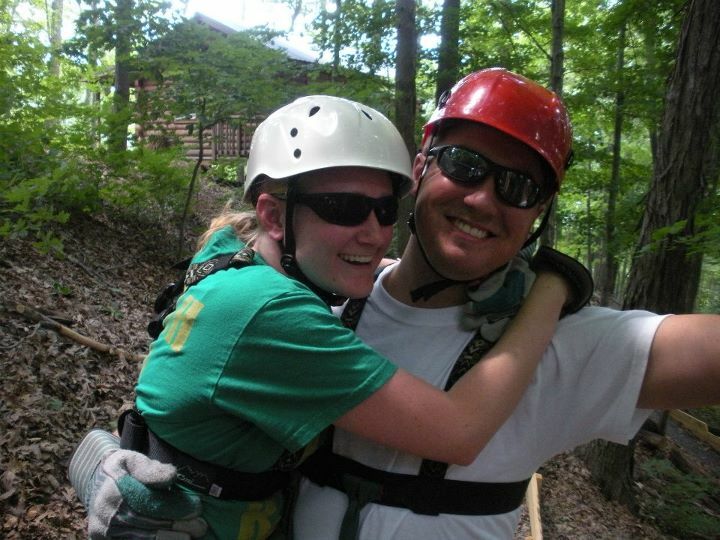 After the cave, it was time for the canopy tour. 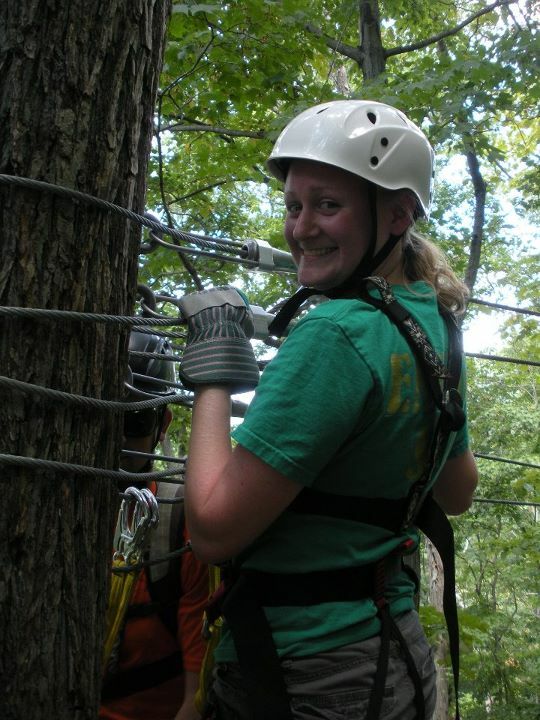 Most of us are familiar with the giant ziplines that many ropes courses have. 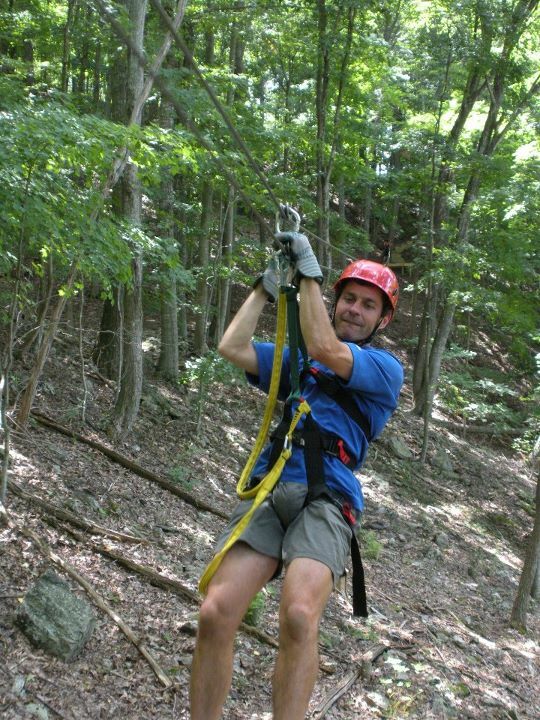 A canopy tour is kind of like that; but instead of just one zipline, you zip from one platform and end on another, then get on another zipline. 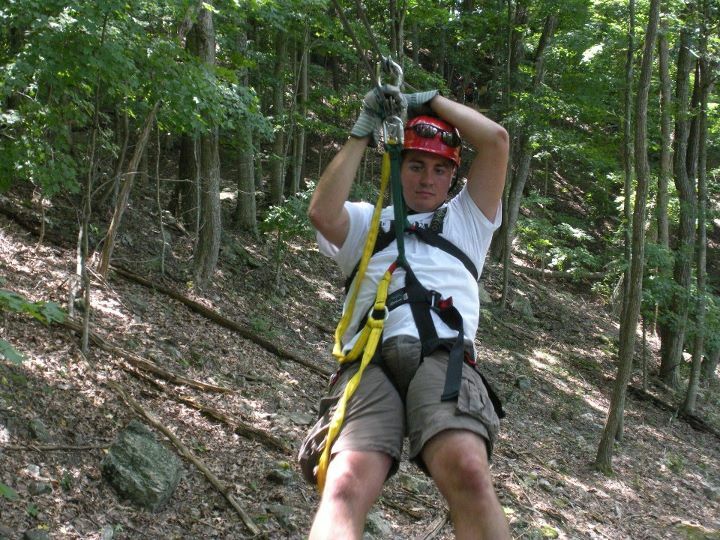 The North Fork Valley Canopy Tour has 12 ziplines ranging in length from about 50 feet to about 300 feet, 3 sky bridges (which look like they are straight out of an Indiana Jones movie), and ends with a 40 foot “rappel” out of a tree. 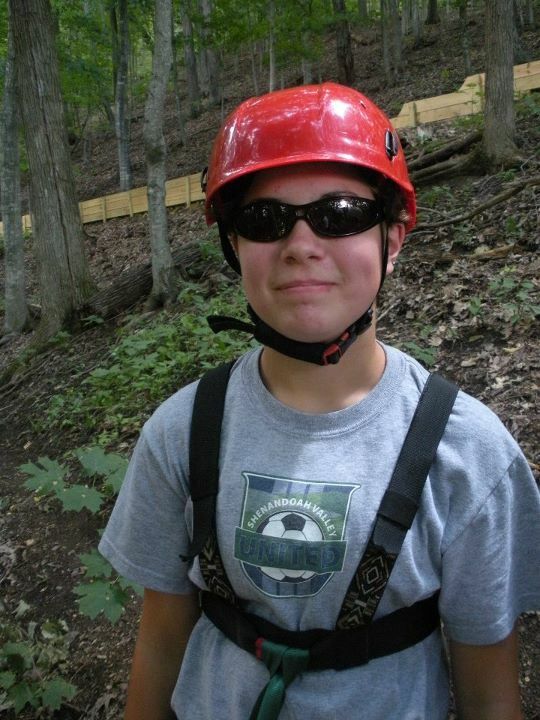 Cool shades, Mary... Photo by Aaron Zook. Melissa was very very excited. Photo by Aaron Zook. Paige was really worried that she wouldn't get the hang of it. She did great though. Photo by Aaron Zook. Hanging out on a platform. 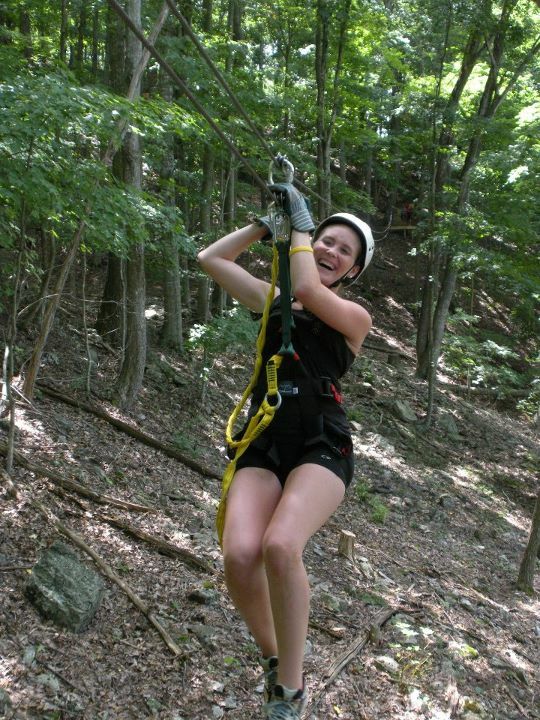 Fun in the trees! Photo by Aaron Zook. On approach... Photo by Aaron Zook. 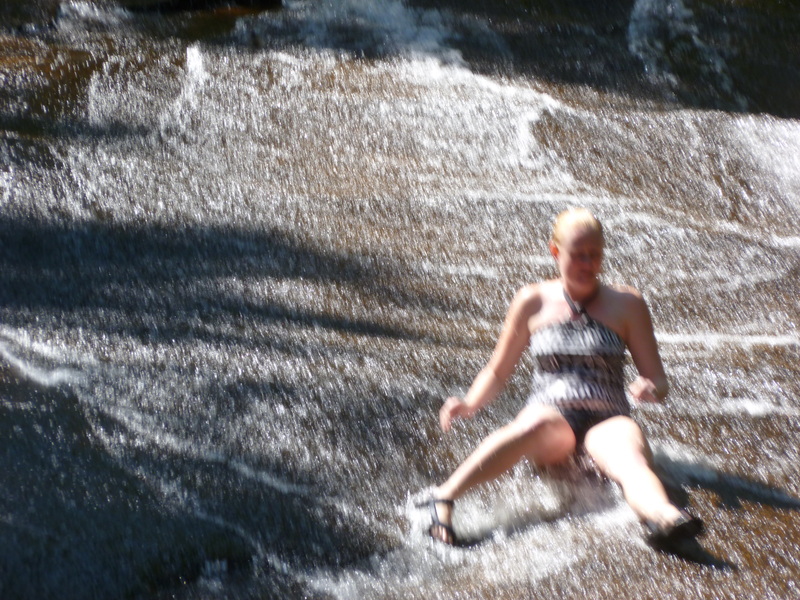 Slip slidin' along. Photo by Aaron Zook. Bonnie tried to make it seem like she wasn't excited, but this picture shows otherwise. Photo by Aaron Zook. I'm not sure why Paige looks so distraught... Photo by Aaron Zook. A different type of outdoor recreation for the Wild GUYde... Photo by Aaron Zook. I would recommend this to friends. Check out the website for booking/price details. 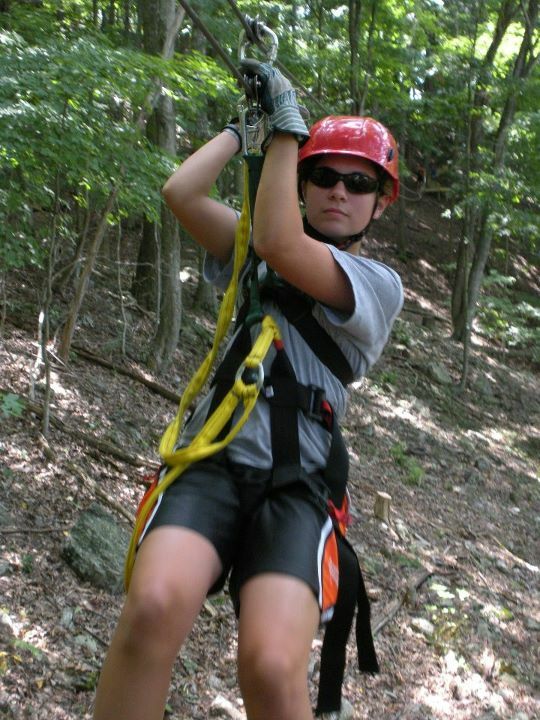 Just go to the NROC North Fork Valley Canopy Tour page. 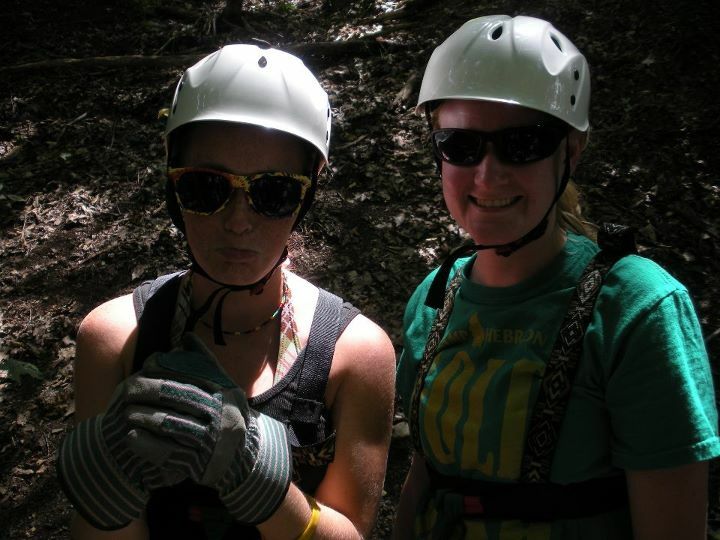 While you’re there, check out the Via Ferrata too. It’s been awhile since I updated here; I’ve simply been busy re-adjusting to life outside of camp. Melissa and I have been back in Harrisonburg since August 16 or so, and I’ve been working at Massanutten again. We actually returned from camp on August 6, but promptly left on vacation. We went with my family to the Asheville, NC area, and enjoyed the sights in that neck of the woods. It was fun for Melissa and I to return; we really liked the area when we visited during our honeymoon just over a year ago. We had been hankering to return to Great Smokey Mountain National Park ever since. 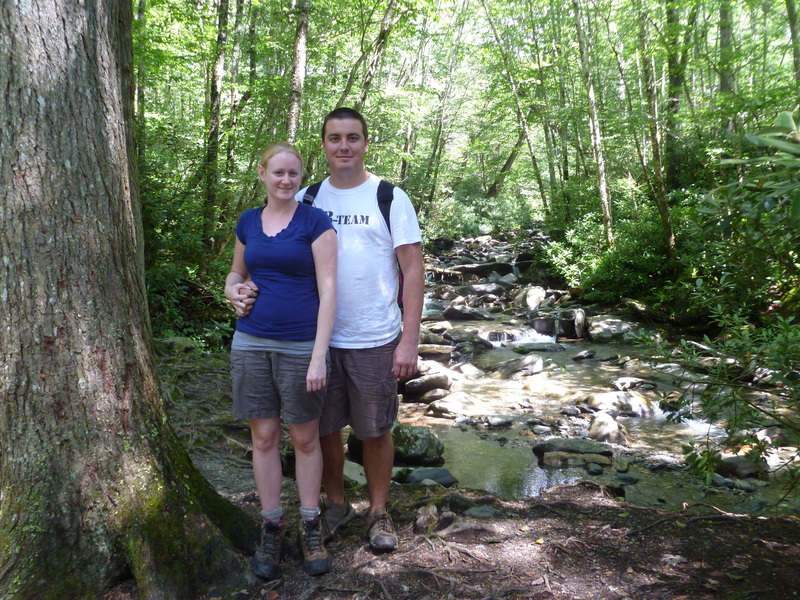 Melissa and I hiking in Great Smokey. 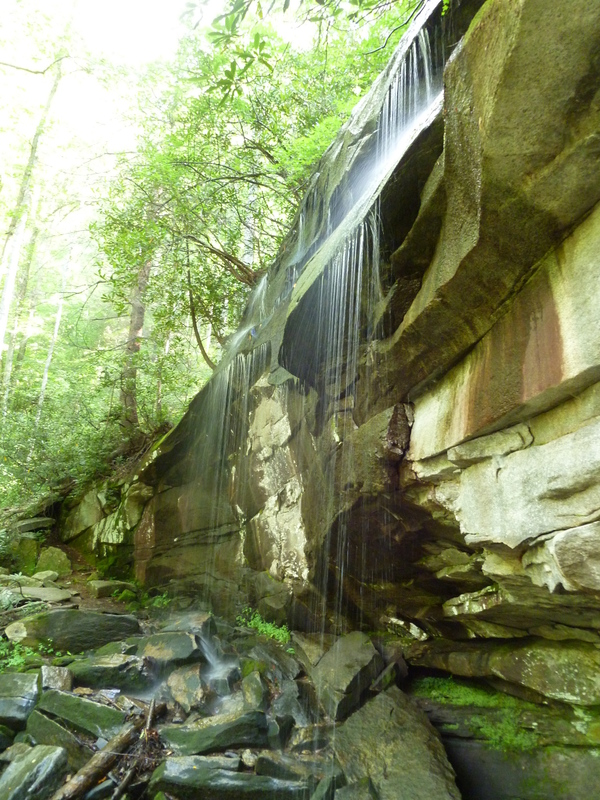 A very pretty waterfall we found at a trailhead in the Pisgah National Forest. A different view of the same waterfall. 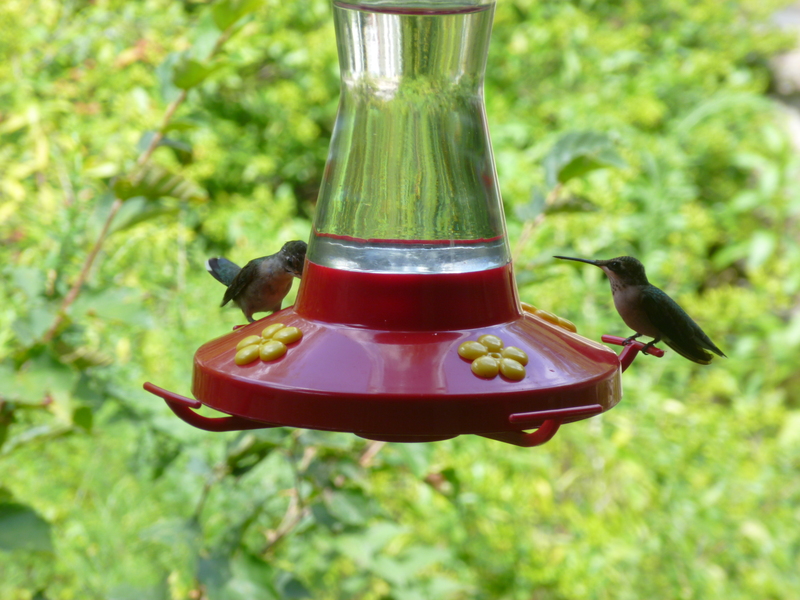 I managed to get some really nice pictures of humingbirds at a feeder in the Pisgah. 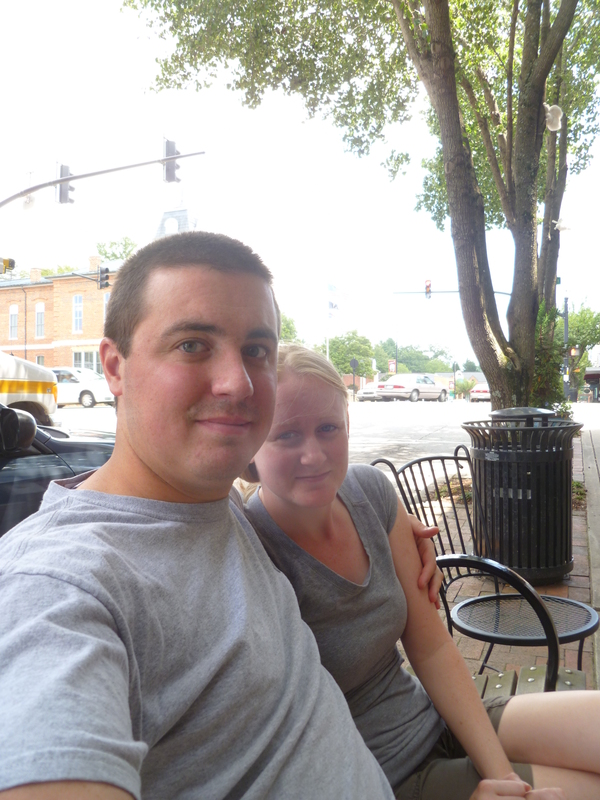 Brevard, NC is a really nice town. We liked the downtown section. 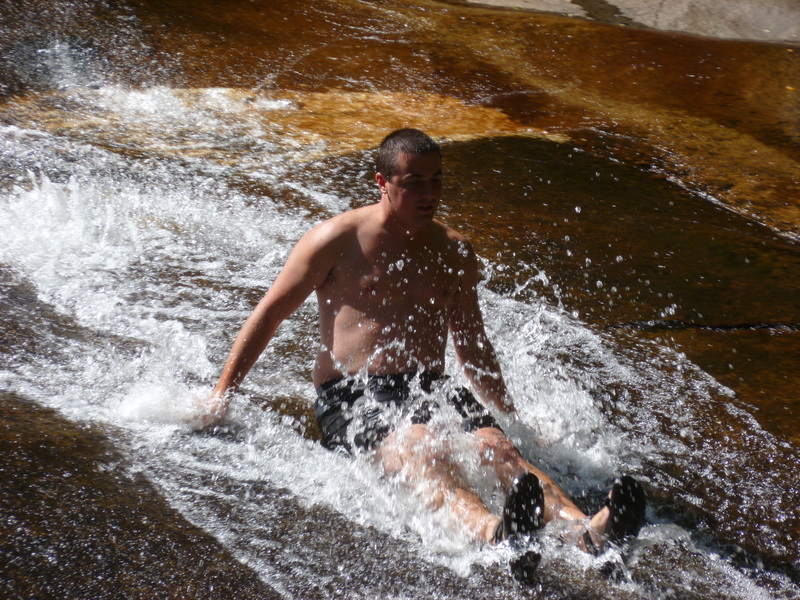 We also liked Sliding Rock, in the Pisgah. The water was about 42 degrees, but it was worth it. I hope to begin updating my blog on a more regular basis again. I’ve been working every shift I can get my hands on, so mountain time has suffered a bit lately. I’m hoping that will change in the new future.